Box Dimensions (LxWxH) 4.9 x 2.6 x 1.2"
Nitecore 18650 Li-Ion Rechargeable Battery (3.6V, 3500mAh) is rated 2.7 out of 5 by 3. Rated 1 out of 5 by Nick from Does not work with the Tiltamax Gravity G1 Warning! Does not work with the Tiltamax Gravity G1, the batteries are too wide and too long. The size is not standard. On the other hand, the EBL Batteries work well! Rated 2 out of 5 by Nick from Tiltamax Gravity G1 Do not use these batteries for the Tiltamax Gravity G1. The size of the batteries is not good, they are too big. The EBL batteries (BRC 18650 3.7V) work perfectly. Rated 5 out of 5 by Anonymous from Would buy again! Works great in Cree led head light!!! Lasts longer than the others! 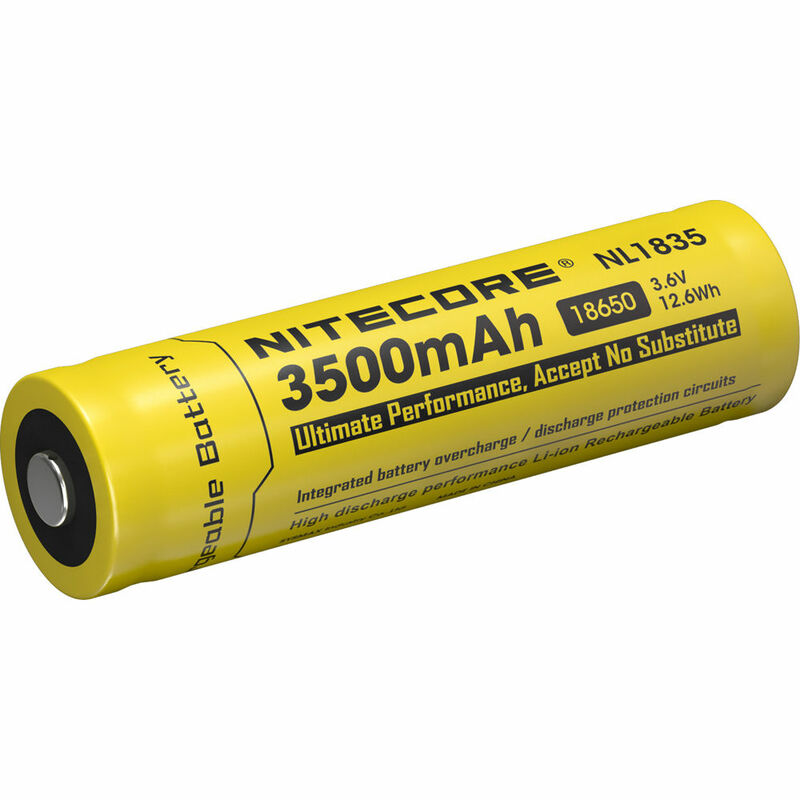 Is this battery IMR, ICR, or IFR?